Character Dining at Walt Disney World offers a fun and unique way to meet some of your favorite Disney friends. Walt Disney World offers many different character dining experiences from breakfast to dinner. It’s fun for the whole family and a great photo opportunity. Meals generally are buffet or family style. Advanced Dining Reservations are recommended for all Character Dining by calling (407)-WDW-DINE or booking via MyDisneyExperience up to 180 days in advance. Theme Park admission tickets are required for meals in the park. Specialty celebration cakes are available at most locations for an additional charge and should be ordered 48 hours in advance by calling call (407) WDW-DINE. 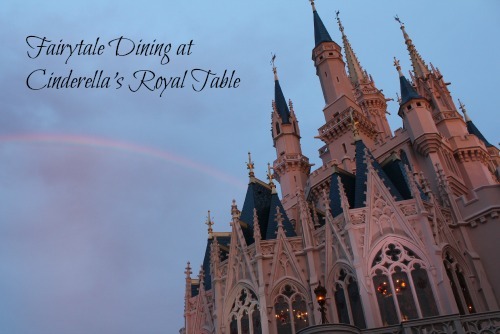 Fairytale Dining at Cinderella’s Royal Table in Cinderella Castle. There’s something magical about dining in the Castle and now you can do it for breakfast, lunch and dinner. Cinderella will greet you in the castle lobby for photos, then upstairs her royal court of princesses will mingle with guests and sign autographs. You must make advanced Dining Reservations up to 180 days in advance. 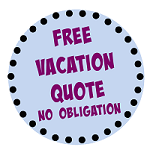 Payment is required in full with a credit card at the time of booking. You will receive a photo package delivered to your table during your meal. Parties of 1 – 4 receive one package; parties of 5 – 8 receive two packages. Theme park admission required. Prices include photo package, tax and gratuity. Breakfast served daily 8 a.m. – 11:15 a.m. Lunch served daily 12 p.m. – 3 p.m. The Crystal Palace offers all-you-can-eat breakfast, lunch and dinner buffet with various Walt Disney characters including Winnie the Pooh and friends. Theme park admission required. Breakfast served daily 8 a.m. – 10:45 a.m. Lunch is served 11:30 a.m. – 2:45 p.m.
Dinner is served daily from 3:15 p.m. – 9:30 p.m.
Tiana’s Riverboat Party – Ice Cream Social & Viewing Party in Liberty Square is the best dessert party a child could want, plus a riverboat cruise with Tiana and Prince Naveen. Chip ‘n’ Dale’s Harvest Feast at Garden Grill in The Land. Family-style breakfast, lunch and dinner hosted by Mickey Mouse and friends. 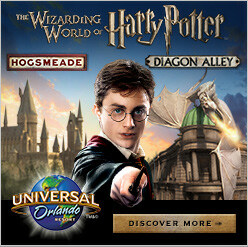 Theme park admission is required. Princess Storybook Dining at Restaurant Akershus in the Norway pavilion. Dine with Belle, Snow White, Sleeping Beauty, Cinderella, and Ariel (characters do rotate and no specific Princess is guaranteed). Theme park admission is required. Breakfast is served daily from 8:30 a.m. – 11:10 a.m. Lunch is served daily from 11:55 a.m. – 3:30 p.m.
Dinner is served from 4:55 p.m. – 8:35 p.m.
Donald’s Safari character meals at Tusker House in Africa. Buffet style breakfast or lunch with Donald Duck and friends. Theme park admission is required. Breakfast seatings from park opening until 10:55 a.m. daily. Lunch is served daily from 11 a.m. to 3:30 p.m.
Disney Junior Play ‘n Dine at Hollywood & Vine Echo Lake. Buffet style breakfast with Sofia the First, Doc McStuffins, Vampirina, and Racer Goofy. Theme park admission is required. Dinner and lunch is hosted by Minnie Mouse with a seasonal theme. She is joined by Goofy, Donald, Daisy, and Mickey. Cape May Cafe Character Breakfast at Disney’s Beach Club Resort. Breakfast buffet with Beach Club Minnie Mouse and friends. Prices include tax. Chef Mickey’s Buffet at Disney’s Contemporary Resort. All-you-can-eat breakfast and dinner buffet with Chef Mickey and the gang. Breakfast served daily from 7 a.m. – 11:15 a.m.
Dinner served daily from 5 p.m. – 9:30 p.m.
Supercalifragilistic Breakfast 1900 Park Fare at Disney’s Grand Floridian Resort& Spa. Breakfast buffet featuring Mary Poppins and friends. The Mad Hatter is not to be missed! Breakfast served daily from 8 a.m. – 11:50 a.m.
Cinderella’s Happily Ever After Dinner at 1900 Park Fare at Disney’s Grand Floridian Resort & Spa. Dinner buffet with Cinderella and friends. Dinner served daily from 4:00 p.m. – 9:00 p.m.
Wonderland Tea Party at 1900 Park Fare at Disney’s Grand Floridian Resort & Spa. What could be nicer than a tea party with Alice and the Mad Hatter? Children eat a “backwards lunch” (dessert first) and enjoy tea sandwiches, chicken nuggets and tea (apple juice). Children hear a story, decorate cupcakes and interact with the characters. Alice and the Mad Hatter are usually in attendance, and there is a special surprise for parents at the end. Some children love to get dressed up for this event. Served from 2:00 p.m. – 3:00 p.m., Monday-Friday. Includes lunch. My Disney Girl’s Perfectly Princess Tea Party at Grand Floridian Resort & Spa Tea for two, deliciously decorative princess cakes, plus a personal meet-and-greet with Princess Aurora from the animated film “Sleeping Beauty”. Girls are encouraged to attend dressed up in their favorite princess attire. Guests age 3-11 also receive a My Disney Girl doll dressed in a matching Princess Aurora gown plus accessories, their own ribbon tiara, silver Princess link bracelet, fresh rose, special princess scrapbook set and a “Best Friend” certificate. This Tea party requires a reservation and payment must be made in full with a credit card when booking. 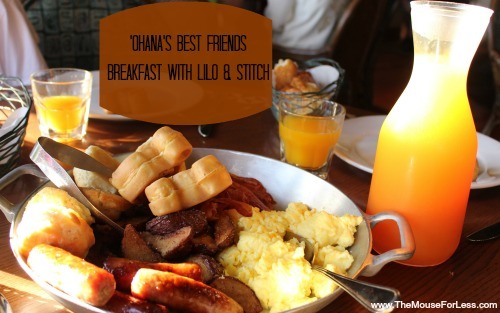 ‘Ohana’s Best Friends Breakfast with Lilo & Stitch at Disney’s Polynesian Resort. Family-style breakfast with Lilo, Stitch, Mickey and Pluto. Served daily from 7:30 a.m. – 12 p.m.
Garden Grove Cafe Character Buffet at the Swan Resort. Dine with Disney characters for breakfast on the weekends, or dinners each day. Breakfast served Saturday & Sunday from 8:00 a.m. – 11:00 a.m.
Good Morning Breakfast at The Four Season resort is a grand breakfast buffet with Goofy and his pals including a delicious omelet station! Reservations are required, breakfast takes place every Thursday and Saturday. Also served on Tuesdays during school break periods. Breakfast Hours 7:30a.m. – 11a.m. Bon Voyage Adventure Breakfast at Boardwalk Resort with Ariel, Prince Eric, Rapunzel, and Flynn Rider is exciting and tasty for everyone in the family! Autographs and photos are taken while you dine on breakfast favorites from Trattoria al Forna. Breakfast Hours 7:30a.m. – 12:05p.m. Storybook Dining at Artist Point at Disney’s Wilderness Lodge with Snow White, Dopey, and Grumpy. You’ll even have an opportunity for an encounter with The Queen! Autographs and photos are taken while you dine on a uniquely themed prix fixe menu, including shared starters, a choice of individual plated entrees and ‘sweet spells’ to finish the meal. 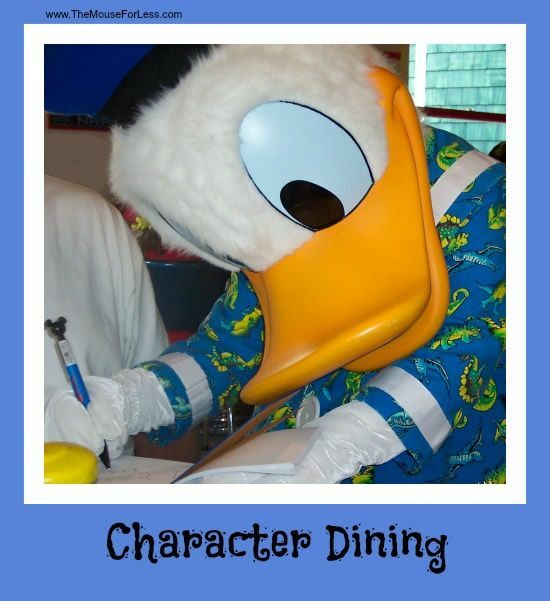 Dinner Hours 5:00 p.m. – 9:00 p.m.
Have your camera ready—most characters will visit you at your table during your meal. If you have children, autograph books are a must. The Characters will be glad to sign them when they stop by your table. A big, fat, pen is very helpful to help those costumed/gloved characters sign the book. These items are available at stores and gift shops throughout Walt Disney World, but will not be available at the restaurants. Guests are also welcome to bring their own autograph books from home. Some children can be shy when first meeting the characters. Most characters are very sensitive to this, and will try and accommodate your child’s needs. You may want to make your Advance Dining Reservations for “off peak” meal times. This will allow more time for character interactions because there will be fewer guests dining. Characters are subject to change without notice. Visit our Character Meet and Greet Opportunities page for other opportunities to meet your favorite characters. Wondering what the Mouse for Less Members prefer? Visit our Best Character Breakfasts, Best Character Lunches and Best Character Dinners to see which dining experiences came out on top when put to the vote.